Fittingly for a Rétromobile week sale, a 1931 Bugatti Type 51 Grand Prix racer is one of the early highlights announced for the Artcurial Paris 2019 classic car auction. This highly original Bugatti comes with a full known ownership history and an extensive in-period racing record. It was owned, and successfully raced, by amongst others Marcel Lehoux and Maurice Trintignant. No estimate has been released but Type 51s sold for near $4 million at recent auctions. The 1931 Bugatti Type 51 Grand Prix, chassis no. 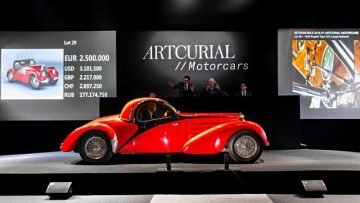 51128, on offer at the Artcurial Paris Rétromobile 2019 sale had a busy in-period racing history, yet never suffered major damage. It is a highly original Type 51 retaining its original chassis, coachwork and many mechanical parts. No estimate has been released yet. The 1931 Bugatti Type 51 Grand Prix was delivered new to racing driver Marcel Lehoux in Algiers in June 1931. Lehoux competed extensively in the car, achieving several victories and multiple podium finishes. 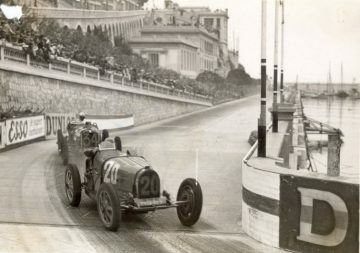 In 1932 he drove the car to 6th overall in the legendary Monaco Grand Prix. 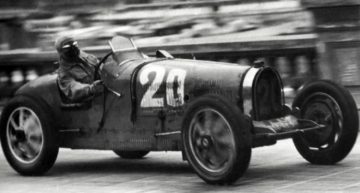 Louis Trintignant, already the owner of several Bugatti, then acquired the car, entering and winning various races in it. Sadly, he met his death in 1933 at the wheel of his Bugatti 35C, and #51128 was sold the same year by his widow to motorcycle racer Jules Rolland. Finding that he didn’t use the car, Rolland sold it in 1938 to the famous French racing driver and Bugatti fanatic Maurice Trintignant, who used it to compete in Grand Prix races during 1938 including Pau, and Chimay, which he won. 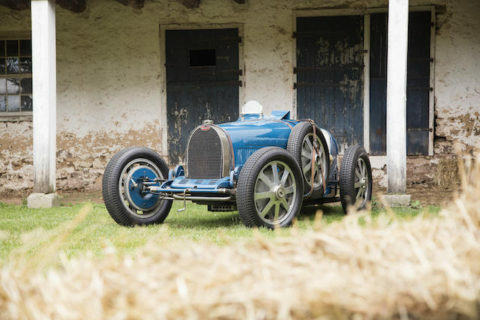 With the outbreak of war, the Bugatti was hidden away at the family farm in the South-East of France, and it made its reappearance in September 1945 at the Grand Prix des Prisonniers, in the Bois de Boulogne. Fully occupied with his career as a professional driver in Formula 1 (he participated in some 324 Grand Prix races), the Bugatti 51 remained on display in his showroom until 1974. This was the year the car was restored by its new owner, a collector from the Loire. At the end of the 1980s, it was bought by Christian Pellerin, a real estate developer responsible for the development of la Défense region of Paris. The Bugatti was acquired by the current owner, a Parisian collector, in 1992. This Bugatti Type 51 has suffered no significant damage, despite an active life in competition that included Grand Prix races during the 1930s. Artcurial claims it is one of the most original surviving Type 51 Bugatti, retaining its original chassis, coachwork and many mechanical elements. Cars with important race history such as this are highly sought-after, offering an entry to the most prestigious historic race meetings such as Le Mans Classic and the Grand Prix Historique de Monaco. 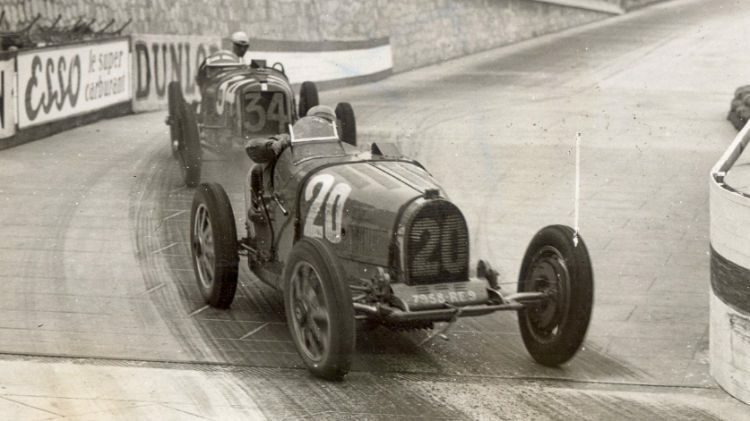 Some 40 Bugatti 51 Grand Prix racers were produced by Bugatti between 1931 and 1934. These cars were raced hard and survivors are seldom offered at auction. More recently, a works racing 1931 Bugatti Type 51 Grand Prix, chassis 51132, sold for $3,740,000 at the Gooding Pebble Beach 2018 sale.